Emails are not always the best or most reliable way to communicate with your parents. Emails can get blocked, spammed, lost, or deleted. 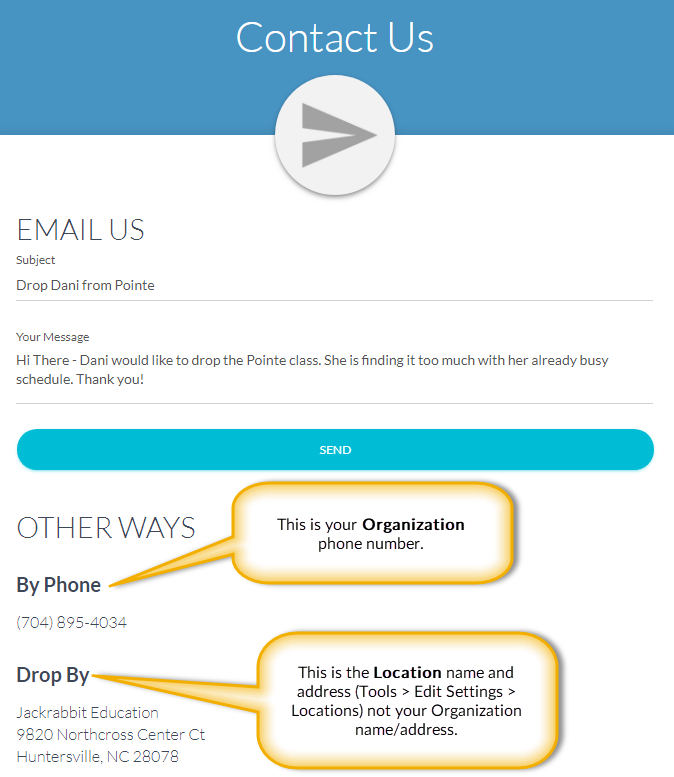 Jackrabbit offers a more reliable way to reach your parents - via their Parent Portal! Even if you emailed the parent and they claim they did not get the email, they can still access that email via their Portal. Send a private message to a specific family. The message will appear on their Portal Dashboard. 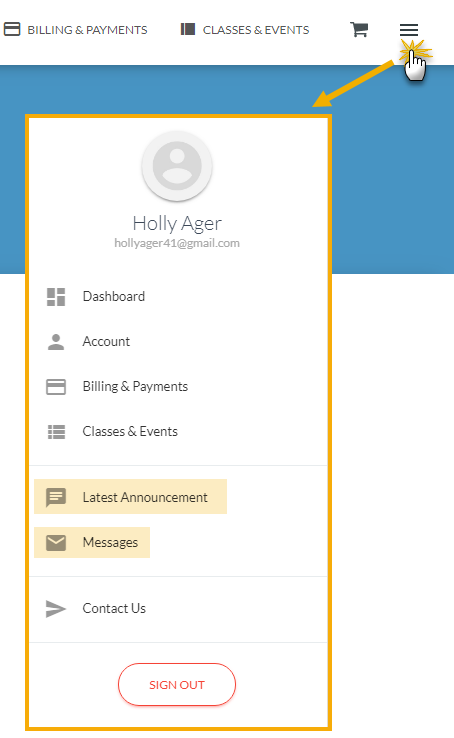 See Send a Private Message to a Specific Family's Parent Portal. Allow your parents to view their email and text history, view their agreements to your policies and see their registration confirmations. These are accessible on the My Messages page (from the sidebar menu). 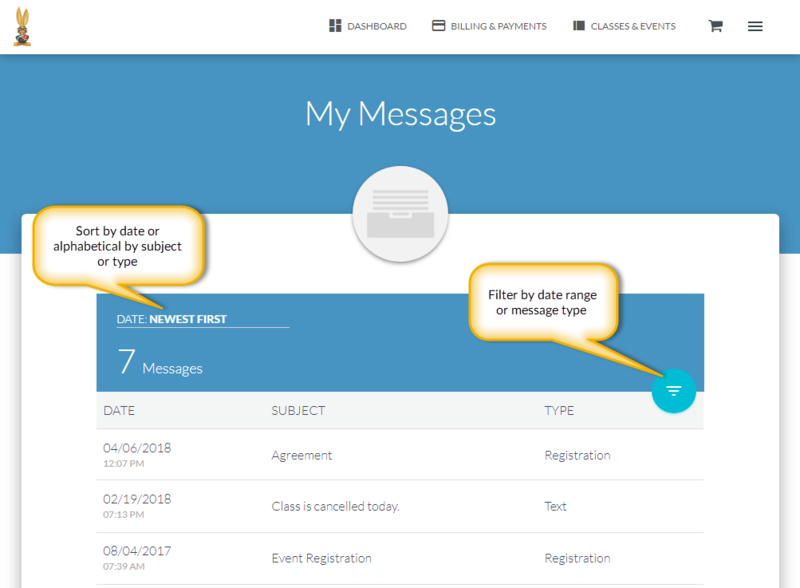 On the My Messages page, parents can view the past 180 days worth of sent emails, sent registrations, and sent text messages (if your organization uses texting). Click each sent email, registration, or text to view the content. Through the Portal your parents can use the Contact Us page (from sidebar menu) to send you an email or to find your phone number and address. The email will be sent to the address you designated as the "Reply to" and "Send Alert to" Email Address (Tools > Parent Portal > Settings > Communication). Note: No record of this email is recorded in the Family record.